If marijuana business entrepreneurs are wondering whether pharmaceutical professionals might be interested in jumping over to cannabis, the answer is a resounding yes. 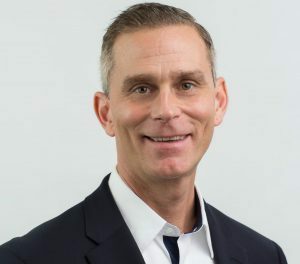 Take Chris Diorio, a 25-year pharma industry veteran who recently made such a move, becoming director of research and development for PharmaCann of New York. PharmaCann has a cultivation and processing site and four vertically integrated dispensaries in New York, as well two grow sites in Illinois, where the company is headquartered. Diorio’s path to PharmaCann started simply enough during a dinner with two former colleagues, one who previously worked with Diorio at Pfizer and the other a former retail pharmacist. Both were working at Bloomfield Industries, a PharmaCann competitor in the cannabis industry. Intrigued by that initial conversation, Diorio did some investigating and learned the marijuana is attracting a growing number of pharma professionals. He also discovered cannabis companies that take the right approach likely will have no problem poaching talent from pharmaceutical companies. Marijuana Business Daily spoke with Diorio about his move to work at a cannabis company, his perceptions of the MJ industry and what companies in this sector can do to lure a top pharma talent. How did you end up at PharmaCann? I just dropped (CEO) Teddy Scott a note and said, “Hey, if you’re around, I’d like to chat and see what’s going on over here.” And he said yes. Fast-forward: We had dinner and I wanted to see what they were really doing and how they were different than what I envisioned a cannabis company would be. It went along with a similar vision to what I shared in the pharmaceutical industry, bringing something that’s beneficial for patients in a whole new light. How did the company address any doubts you had about entering this industry after coming from Big Pharma? They said that basically everyone else in the company had the same basic thoughts and questions. They also said to consider what is the upside and the positives of being in a new emerging industry. Looking back five or six years ago, this wouldn’t have been something I would have even been considering, and many other people probably felt the same way. But as mentalities have shifted and states have started legalizing, to get in on the ground floor with an emerging business was also very exciting and a good opportunity. When I look at the folks who are employed in the company and industry, and as I read articles and research online and get the lay of the land of who’s out there, there are a lot of other people like me who came out of the chemical industry, or engineers, many pharmacists. There are published Ph.D. scientists, people with drug-delivery patents. It’s surprising but comforting to see that. And to see people who had a history in the pharmaceutical industry or the chemical industry, it’s helped solidify my decision. I became more sure of my move when I saw all that. Are you hearing interest from former colleagues? At least 15 former colleagues and acquaintances who are probably still working in some sort of mainstream pharma company as well as people on the sales and marketing side have contacted me. They want to know about the opportunities, the compensation, the benefits. They’re just bluntly asking if there are any job openings. There are people inquiring with 25-plus years of experience and others who are industry newbies. I’ve gotten emails from friends of friends who are graduating from pharmacy school and asking to have conversations so they can learn about the industry. People like that are always very intrigued and excited about a new industry. What should a cannabis company do to successfully recruit from the pharma industry? It depends on the company and the leadership that’s there. If the proper leadership wasn’t there at PharmaCann, I never would have even had that first meeting. If it wasn’t what I felt comfortable with – if it was just somebody without any technology experience or any kind of scientific background or medical background – I would have been skeptical. If a cannabis company is looking for a certain skillset or a certain person and they’re in (a desirable geographic area), and they have the right person making that contact, I think it would be pretty easy to get them. As a lifelong veteran born into the original cannabis culture I remember that profits were counter to RISK,, prison or worse. Now everybody is so trendy with their state controlled permission slips, and endless fees, WTF. Even worse now the big pharma scumbags, who have been poisoning / killing, sometimes helping us, with their guinea pig guessing game of concoctions want in too, F-them , GROW YOUR OWN. I don’t inhale toxic vibes brah ! Because this industry has always hoped to have some of the most unscrupulous and evil people in the world. The pharmaceutical industry has been fighting against this plant for decades and now you just want to welcome them with open arms? Cannabis NON-BELIEVERS, Boycott all Big Pharma intrusion, and any company that supports the perversion of the worlds best plant. This is a big mistake. Bringing people from Big Pharma is only going to work against the industry. Big Pharma is not our friend. They see us as a huge problem. This is only going to allow them to take over from the inside and take advantage of everyone else’s research. This was inevitable because after all, MMJ IS a medicine. The beauty of it is, it’s already effective just as it is, so this is one plant that even big pharma can’t “improve”, people want it as it already is. Mother nature beat big pharma on this one millions of years ago. All this article really means is that it’s getting much closer to being just another mainstream business. Hammer time. You hit the nail on the head. Good points. I’m shocked by the responses. If you are actually an advocate of medical marijuana, how do you expect it to reach those most in need? It’s as if your suggestion is to exclude these people from the new industry so they can enter it while still working for Big Pharma. The design of most of the medical Marijuna rules and regulations in all most all states is based upon models from US FDA rules and regulations. The only difference is this THC is grown on plants not made in a factory from chemicals. Since it is defined as controlled substance, it became a drug. Otherwise it would have been marketed as a Dietary supplement since it is a plant derived product as was in use before 1994.
the only question is How Soon?